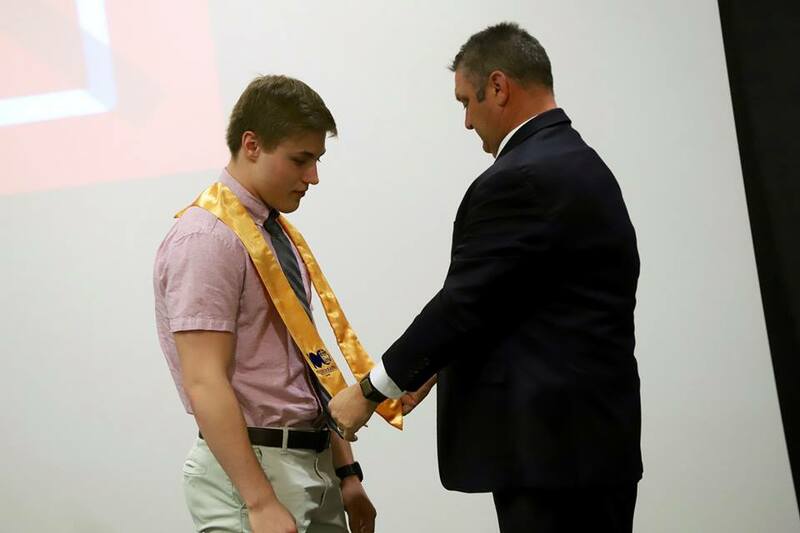 On March 25, 2019 Iowa Central welcomed a new group of students into the honor program, Phi Theta Kappa. 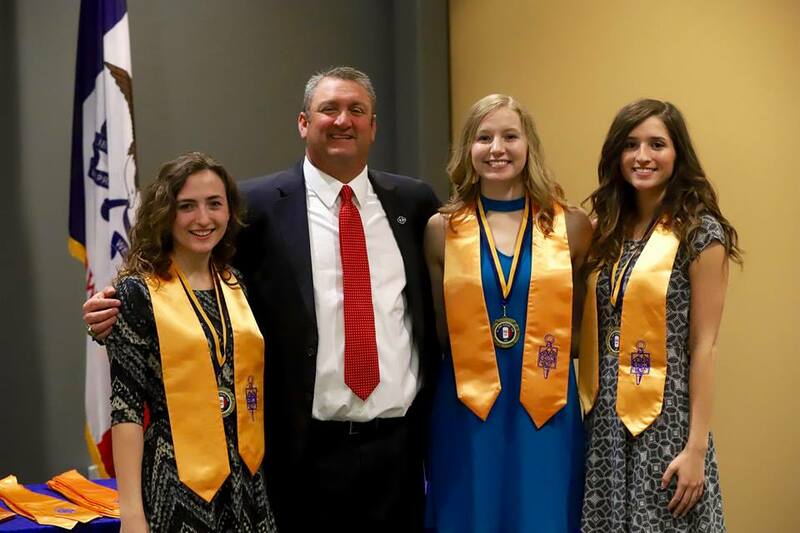 The students in this Honor Society represent Iowa Central at the highest level, and work towards accomplishing great things both in and outside of school. 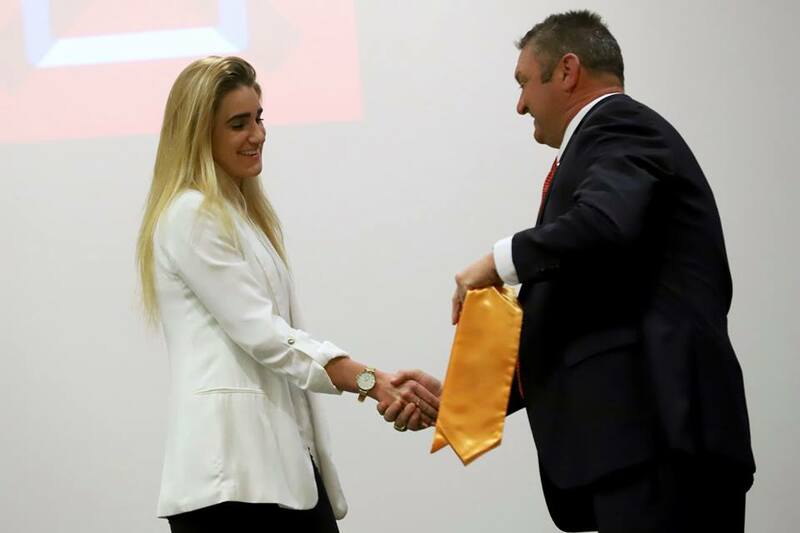 Induction ceremonies are held every spring semester before May graduation. 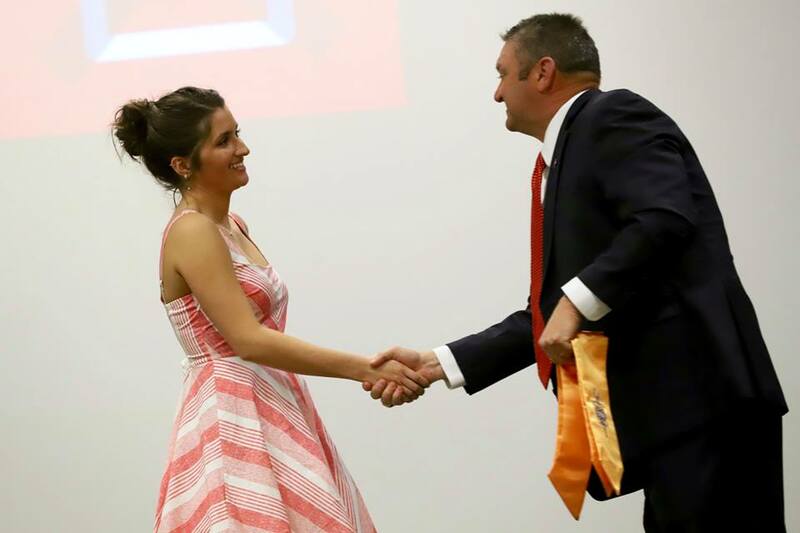 PTK is the official Honor Society of Community Colleges nationwide. 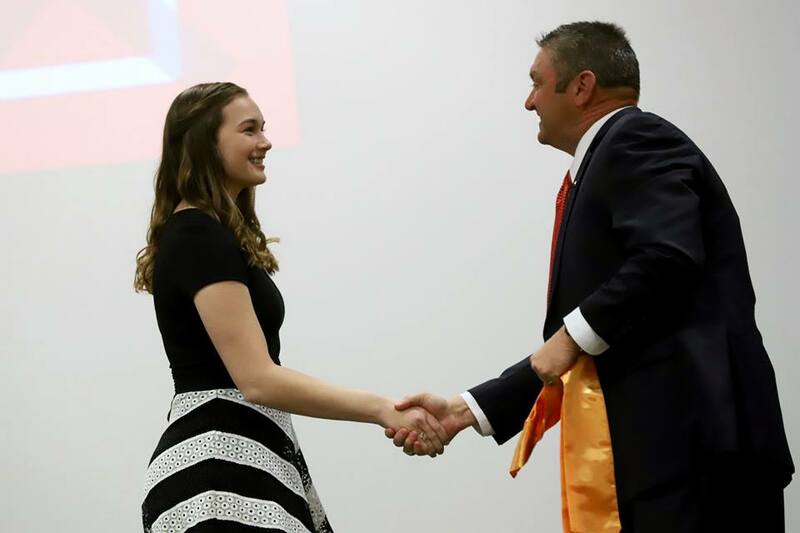 Each year approximately 100,000 students are admitted into this program and are recognized for their academic achievements. 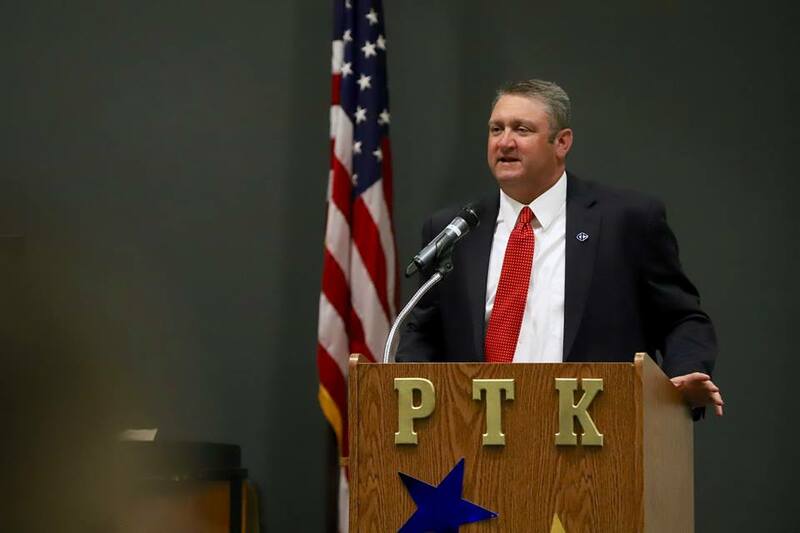 To be eligible for PTK you must have completed at least 12 hours of coursework that may be applied to an associate degree. You must maintain a grade point average of 3.5 or above. You must receive an invitation to membership from the chapter at the college where you are enrolled. You must also adhere to the moral standards that are required of the society. 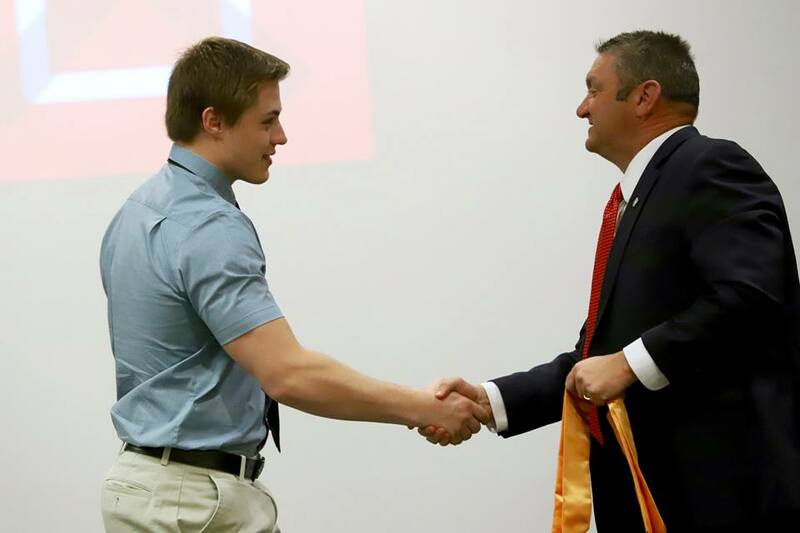 PTK members receive a golden key membership pin, a certificate, recognition at the induction ceremony, regalia to wear upon graduation, official PTK seal on college diploma, and notation of membership on your college transcript. Iowa Central Community College is part of the Lambda Kappa Chapter. Advisors of this chapter include Samantha McClain, Paul DeCoursey, Angie Martin, and Justin Robertson. 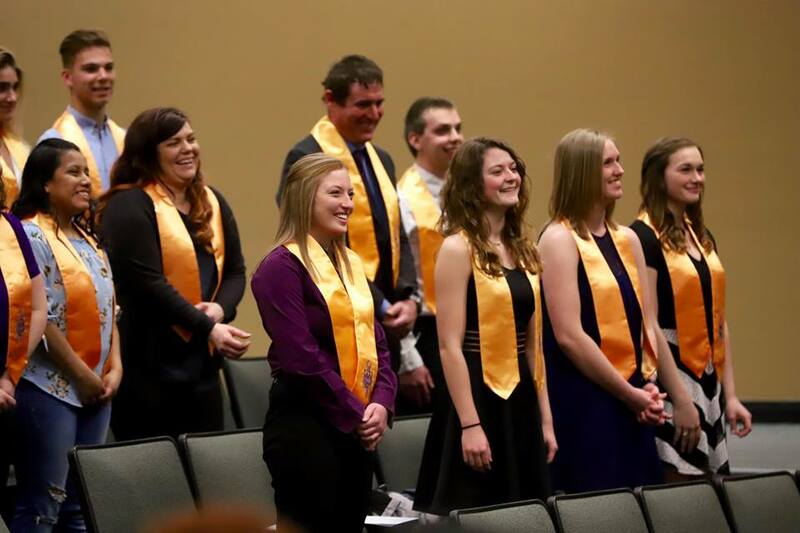 This Spring Iowa Central had the privledge of inducting 37 Tritons into the PTK Chapter! Congratulations to every student who is now a member of this prestigious Honor Society. We are looking forward to seeing you all walk across the stage in regalia for commencement on May 9th! previousAuthor Joe LeValley Visits Campus! next4th Annual Grad Fest Event!